Ledbury does it again presenting yet another great seasonal shirt from their Fall/Winter 2013 collection. This time they’ve given us a stylish Ramsey Plaid, an amazing addition to any fall wardrobe. 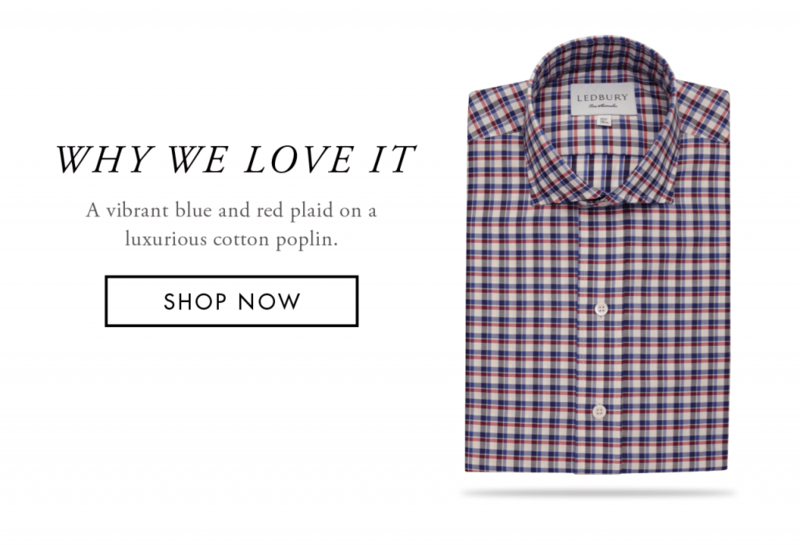 This plaid combines beautiful blues and reds to create a bold and striking design, and on a cotton poplin makes the shirt both comfortable and versatile. Much like their other designs this plaid is an ideal layering piece, going perfectly with the grey Byrne shawl collar, a navy Nottingham tie, and finished off with a cognac Millington belt for a chic fall/winter look.